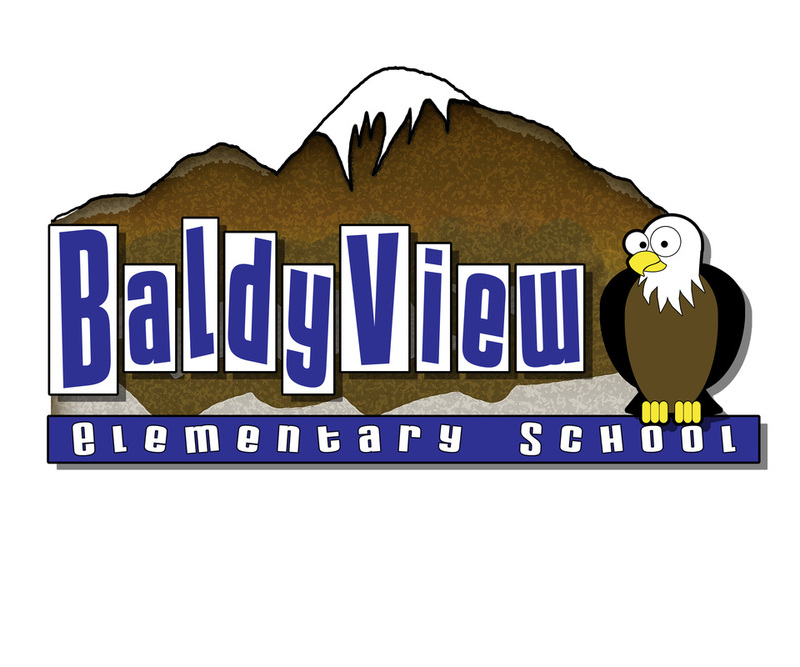 Welcome to Baldy View Elementary School in Southern California, home of the Eagles! 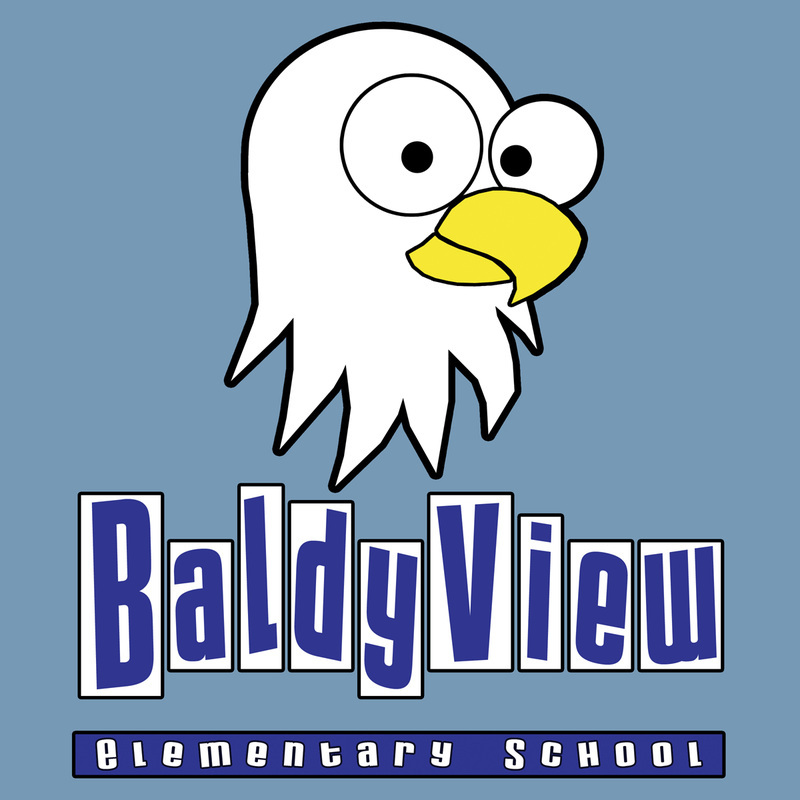 When I was asked to create a mascot and logo for an elementary school with an identity crisis, I was sure my cast of animal characters would help inspire... when I found out that the mascot was an eagle, I already had a critter created, so of course I agreed to work out a full image package. This school has a lot of personality and now, a lot of identity! 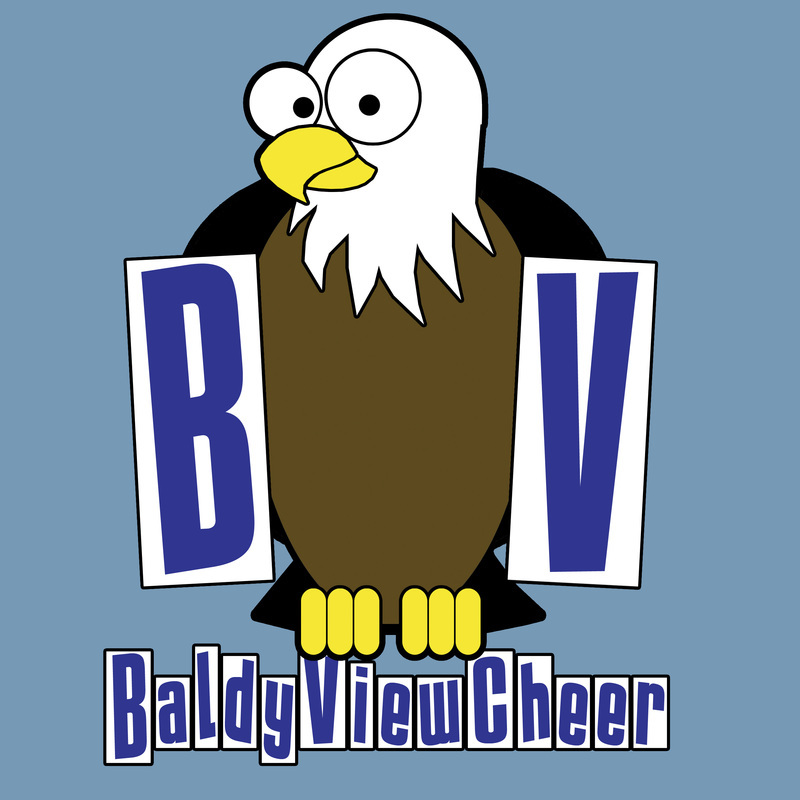 Generally, school graphics tend to be literal, adopted during the '50's and '60's, and frankly, a bit cold. 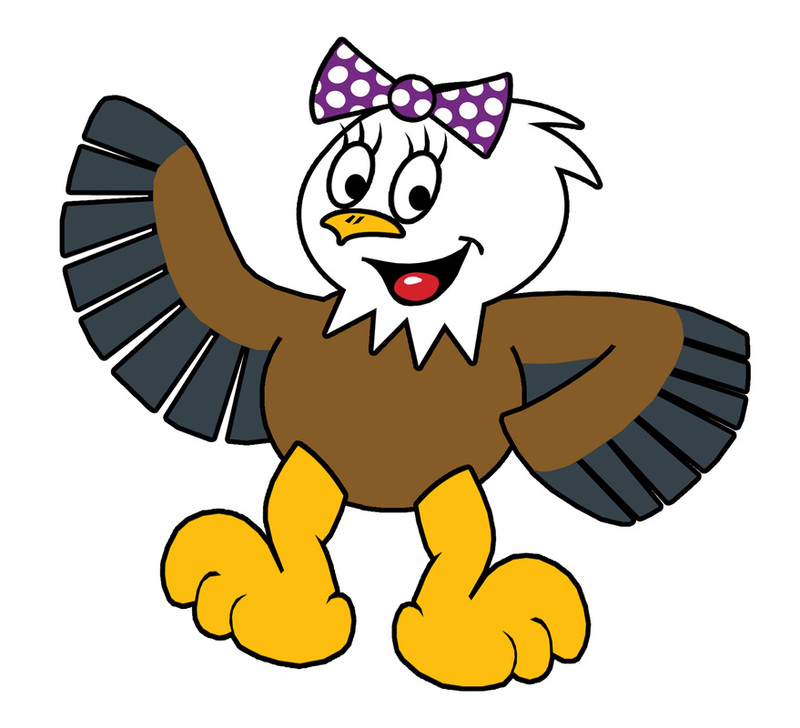 For today's kids aged 5-11, a mascot that has a sense of fun and personality, really helps reflect their identity, personality, and environment. 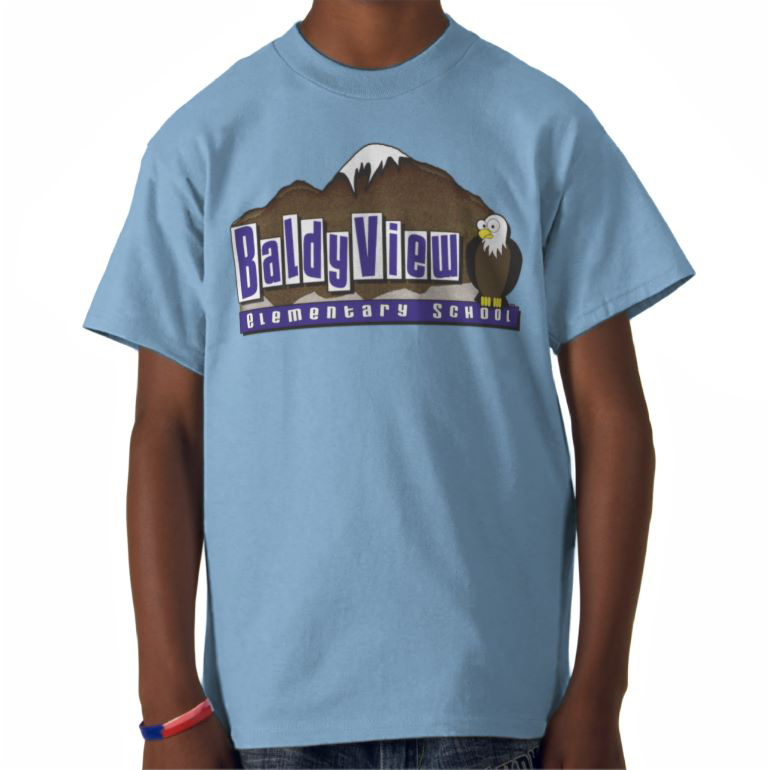 School Pride On Display with a Baldy View T-Shirt! 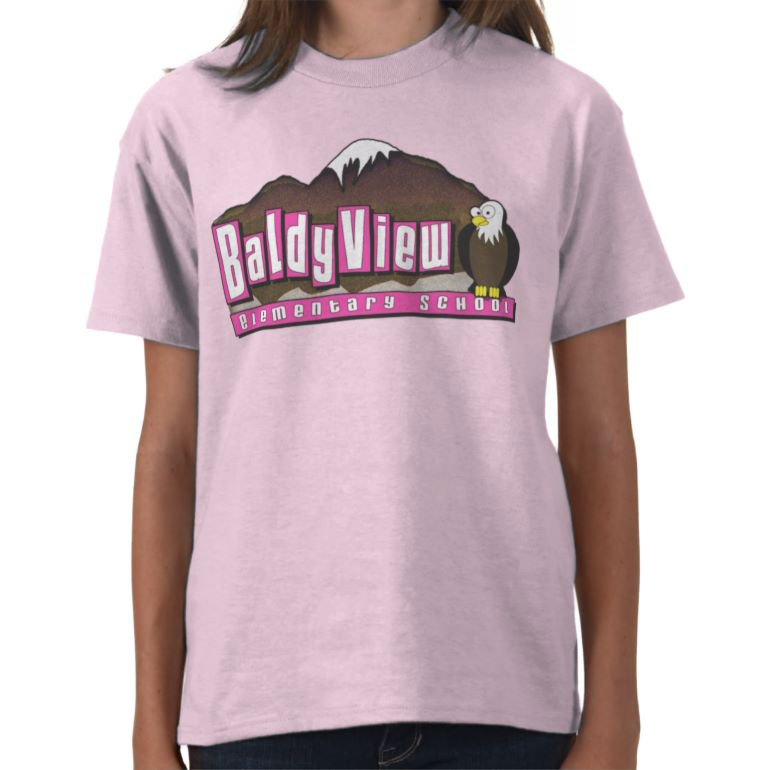 T-shirts come in "Baldy View Blue" (and of course, gotta have a pink version for the fashionistas). Plus, the Faculty, Cheer Squad and Hip Hop Team have their own "uniform" look!! 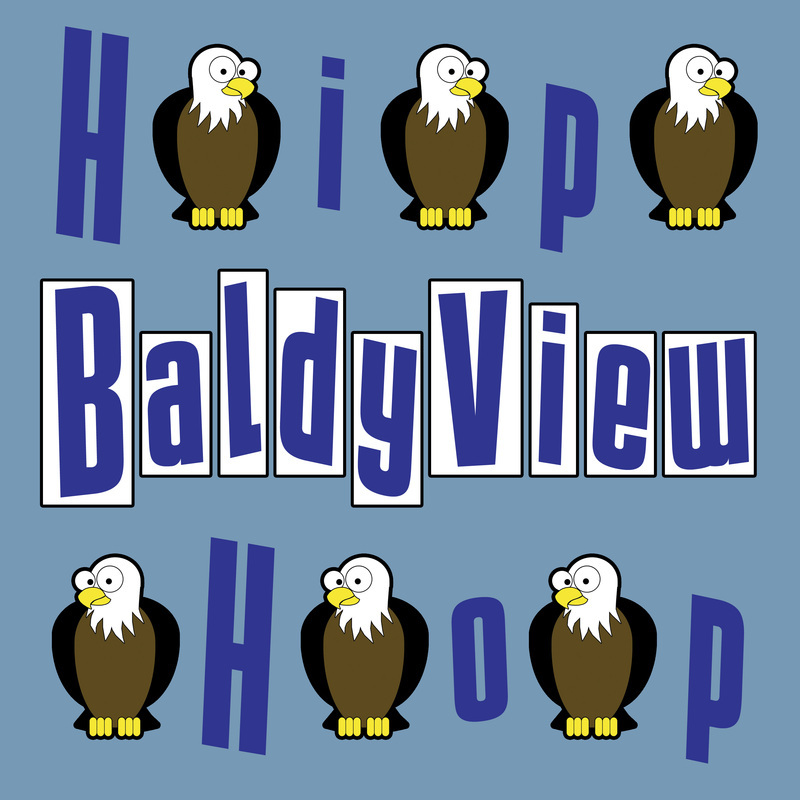 The Entire Neighborhood knows "Baldy View"
When the time came to purchase a new marquee for the school, there was already an established identity that needed to be represented for all the neighborhood to see! I wanna be 8 years old again, and attend this school! 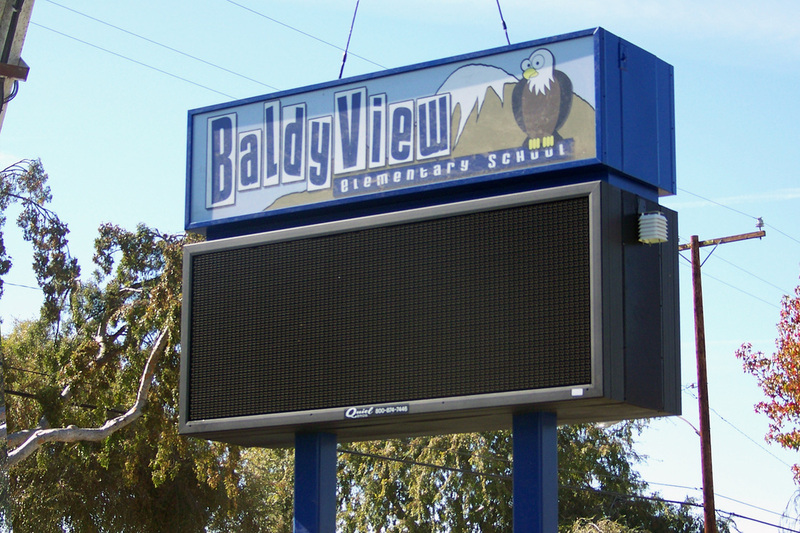 The "New" Baldy View School Marquee being installed. 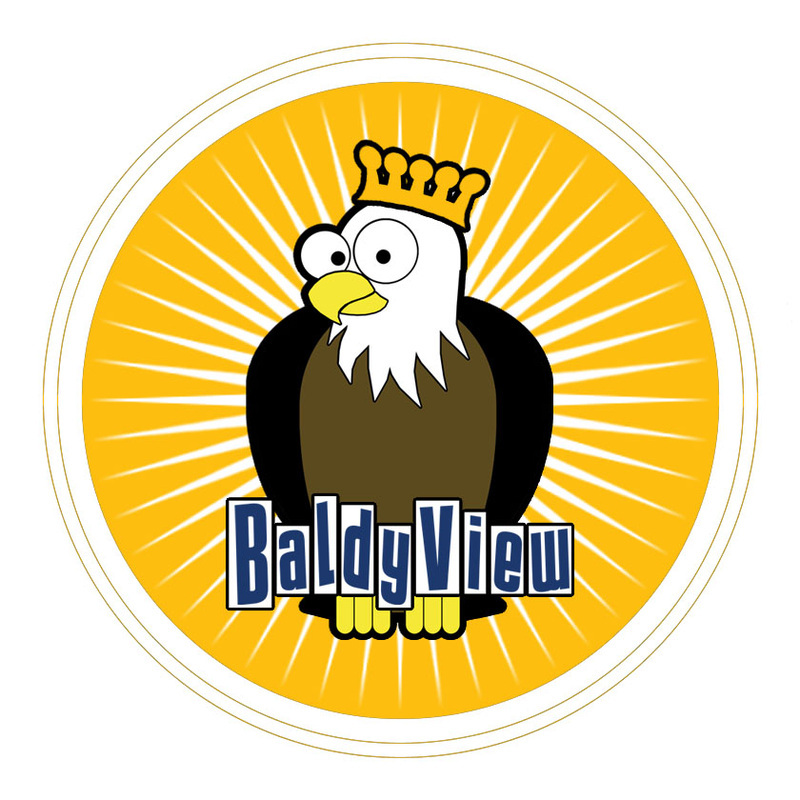 As a tool to help encourage and inspire students, a rewards program was created with faux money as a tool, awarded to students for positive actions, that could be accrued and later used to purchase a reward item, picked out by the student. The program already existed prior to my involvement with the school so I was asked to further personalize and enhance the program for the school. 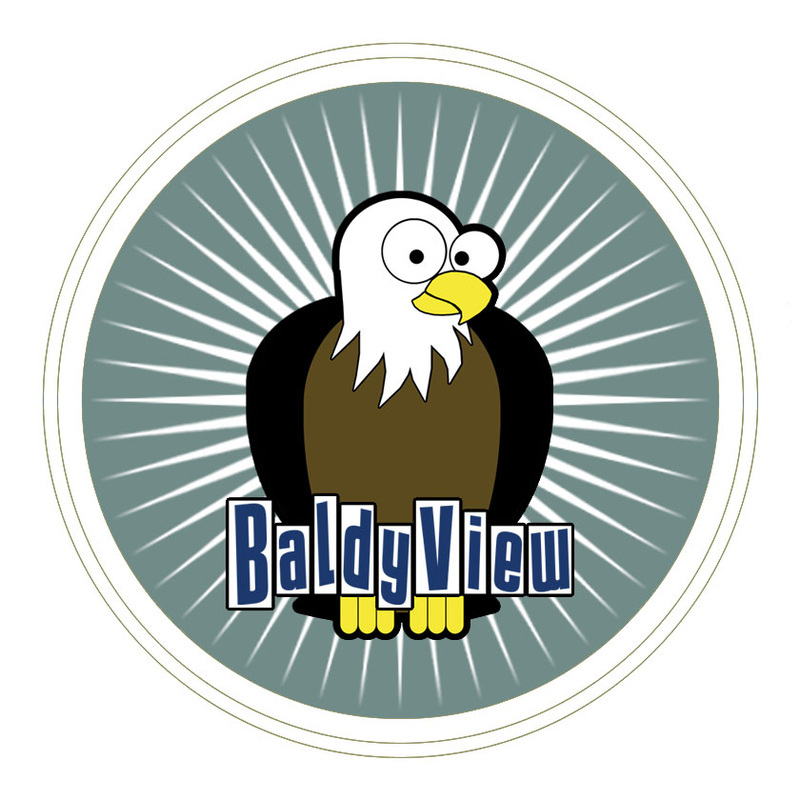 The success of the Baldy View Eagles mascot program, ironically lead to another elementary school mascot project in which the mascot was also an eagle. 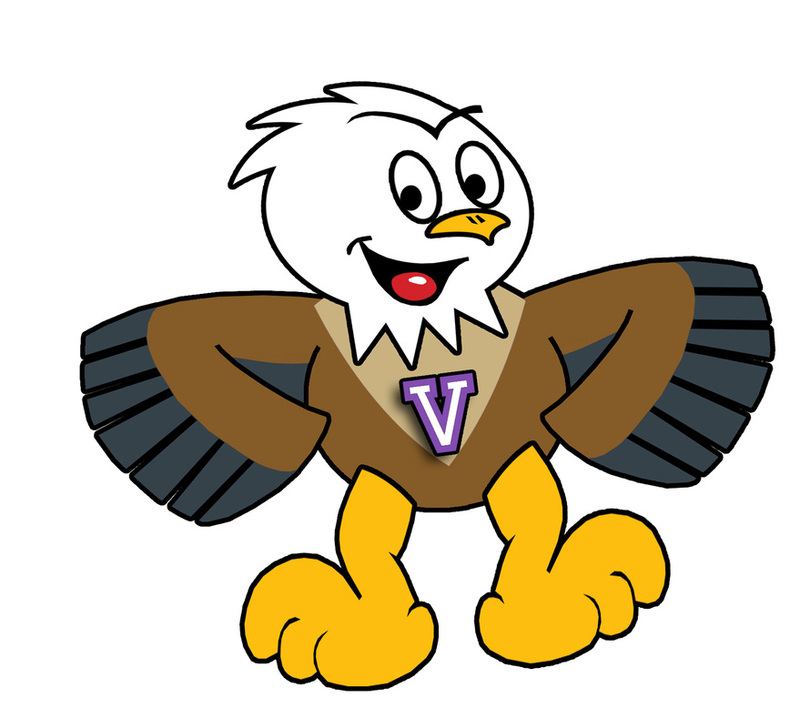 Not wanting to repeat myself, Valencia Elementary Eagles got 2 new mascots--complete with names: Victor (short for Victory) and Val (short for Valencia)!